Gay friendly, Families, Couples, child friendly, pet friendly and most of all our guest with disabilities and wheelchairs are most welcome. Affordable and suitable for any season of the year. Long or short stay. Golf lovers you have all the space you need. Sport fanatics bring your mountain bike or canoe. We have storage space for you. Hillview is close to many great Restaurants, Knysna Waterfront, Thesen Islands and Buffalo Bay is just a 20min drive away. Secured onsite parking, apartments serviced daily. The Stars are for You. 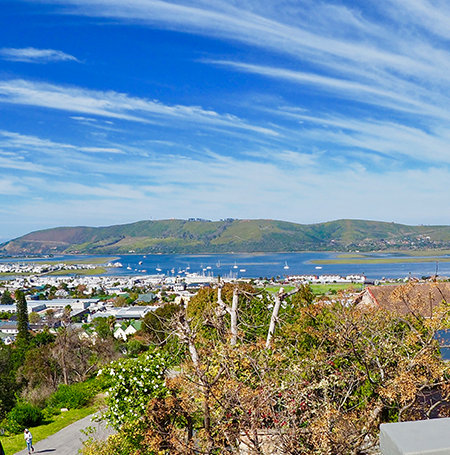 Panoramic views of the Knysna Lagoon, Heads and Thesen Islands. Ideal location for all our Guests. 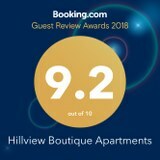 Hillview Self Catering Apartments is an Afristay Valued Member.